Have asked this on SAAC forum but no response, maybe here? I think it was the inspection sticker but can't find a pic that is good enough to proof. Can someone confirm that or has a duplicate or sticker? Found a few pics on the net but very bad when you zoom. The left part of the sticker is maybe the logo of the Automobile Club Bahamas? I would say that you are correct, it looks like a inspection sticker. You may also be correct on the logo being present, obviously it would also include the date. Any change John, to get a pic of an original one? I've never actually looked for the BSW sticker. I'll see if I can find one. 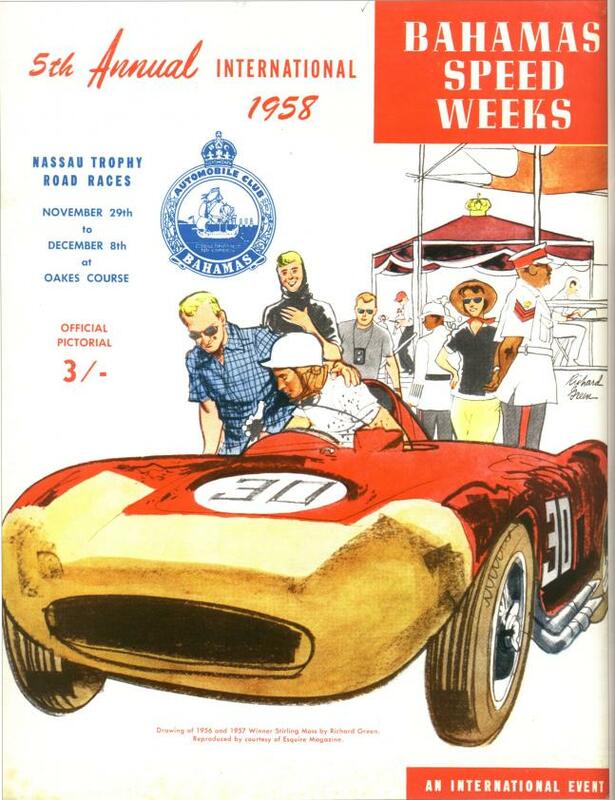 Unclear if that is a tech.inspection sticker, I've looked at early sixties race car pictures from the Bahamas Speed week and none of the cars had a sticker at that location on the front. 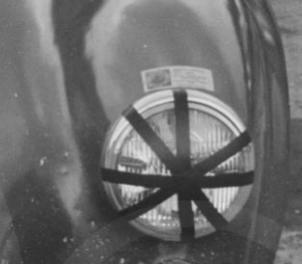 Most times a tech inspection sticker is affixed to the windshield or lacking that, the rollbar. At least in my experience at SVRA,SCCA or IMSA events. I know but I have found only stickers at the front, not an the screen or rollbar.